A discussion of the utility of factory lots can be found in the article "Supply and Demand: The Factory Factor." 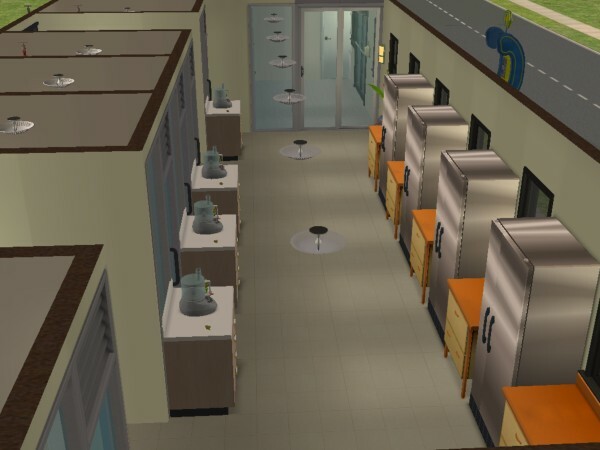 The Food Factorial is a community lot factory designed to allow employees to produce the majority of the foods allowed by The Sims 2. 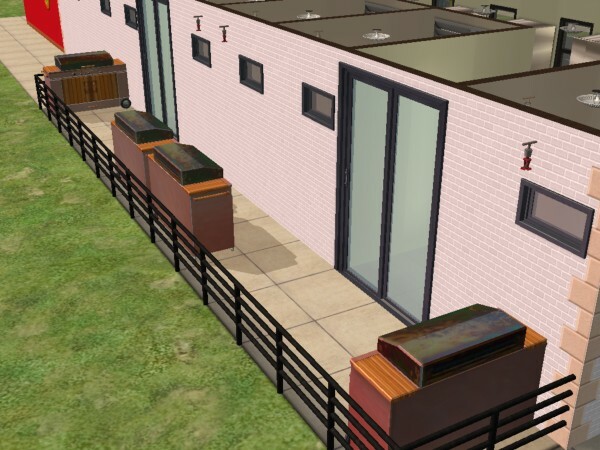 By producing food on a separate community lot, Sims can avoid the fridge-restocking issue that occurs if the Sims produce it at home, work the system to produce more profit at the sales lot, and reduce or eliminate the staffing and space required to produce food on the sales lot. 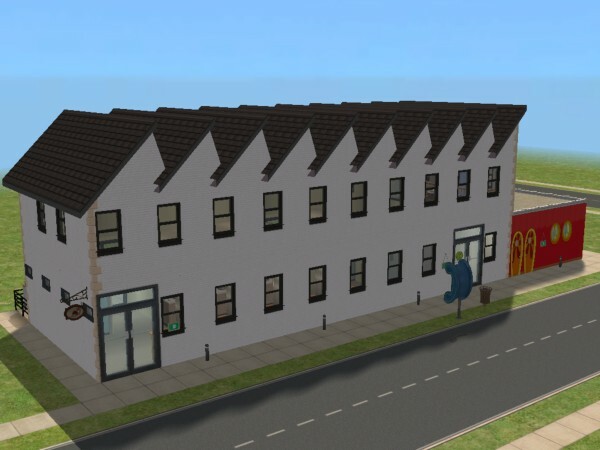 Being a Community Lot, Food Factorial is also transferable between Sims in the same neighborhood, resulting in only one lot being required per neighborhood to produce all the food for all the lots. 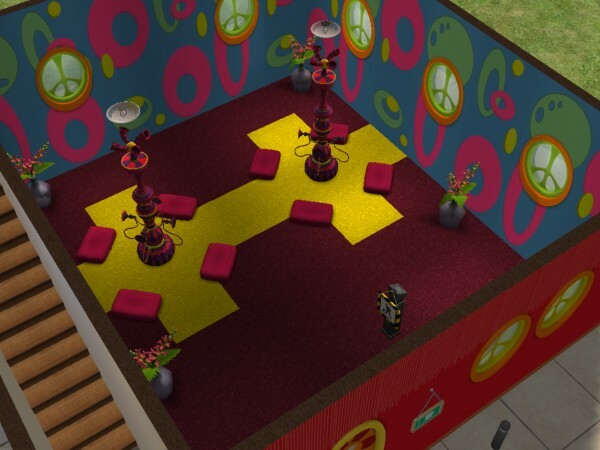 Food Factorial also includes a Bubble Parlor, which can be used to make the lot break even, or obtain ludicrous amounts of money. A Gold-Sales-Badged Sim will be able to Dazzle Patrons past the ticket machine even if it's set at $9,999/hr. Food Factorial is designed to be operated with four Cooking Employees, and one Janitor Employee. 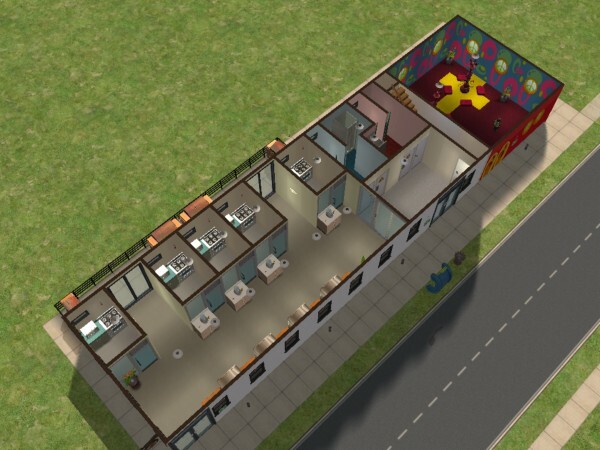 The Janitor Employee is completely uneccessary, save to maintain the illusion that Sims care about Health Codes. Dirty shelves do not affect the likelihood of fires, or degraded food quality. Note that, during operation, the employees will have to be watched. Fires will start, which the sprinklers will put out. The player must then send his playable Sim to retrieve the burned food to prevent logjams. 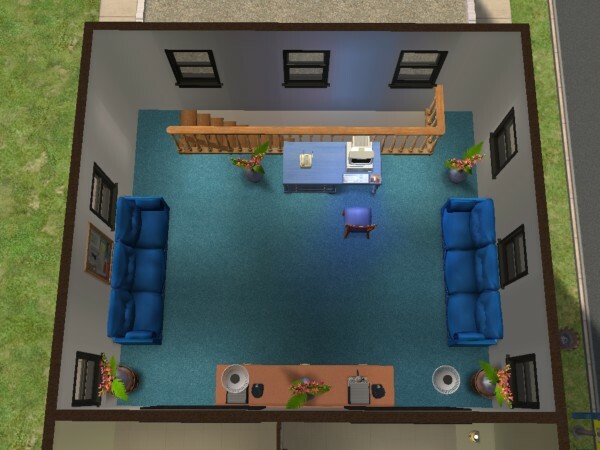 Sims will also sometimes drop trays of food for no reason, in which case the player must send his Sim in to clean those up, lest the floor fill up with dropped food. Baked Alaska, Cereal, Chef's Salad, Chili Con Carne, Gelatin, Grilled Cheese Sandwiches, Grilled Ribs, Hamburgers, Hot Dogs, Layer Cake, Lobster Thermidor, Lunch Meat Sandwiches, Macaroni & Cheese, Omelets, Pancakes, Pork Chops, Salmon, Spaghetti, Toaster Pastries, Turkey. All Seasons Fish Dishes require that a refrigerator on the lot be stocked with the required type of fish. 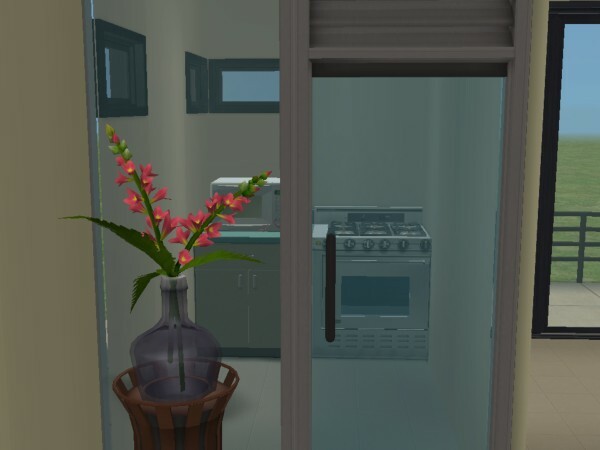 Sims can pull the ingredients out of any fridge, but when it runs out, they will no longer be able to make that type of fish dish. Fresh Food Points have no effect. Food Factorial requires The Sims 2, University, and Open For Business.